A Delta Air Lines passenger jet plane, a Boeing 737-900 model, approaches Logan Airport in Boston. A passenger made it through a Transportation Security Administration checkpoint with a gun on Jan. 2, boarding a Delta Air Lines flight from Atlanta Hartsfield-Jackson International Airport and flying to Tokyo, authorities said Sunday. 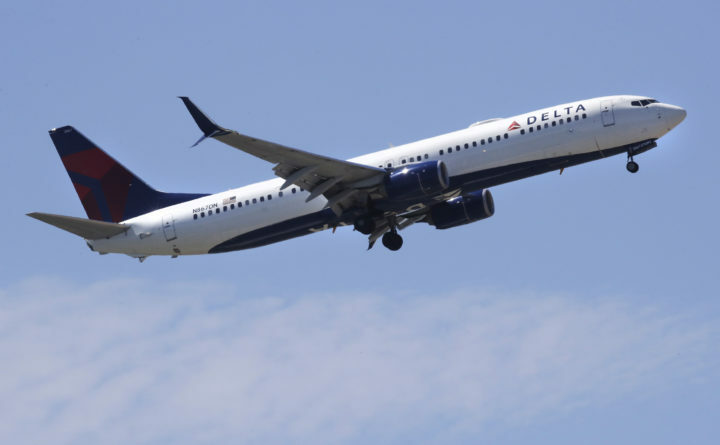 Delta said the passenger brought the gun on flight DL 295 from Atlanta to the Tokyo region’s Narita International Airport on Jan. 2, and as soon as the passenger reported carrying the firearm, the airline disclosed the offense to the TSA. The incident came days after a reported uptick in TSA staffer call-outs, leading some to speculate that the screening mistake was related to the government shutdown. But the TSA strongly denied any connection, saying the percentage of call-outs on Wednesday, Jan. 2 was 5 percent, the same percentage that called out a year prior on Wednesday, Jan. 3, 2018. TSA Administrator David Pekoske announced Friday that agency employees will receive a day’s pay if they worked on Dec. 22, and that uniformed officers will also net a $500 bonus for their efforts during the holidays — pay to be received by Tuesday, the agency said. TSA screeners stop passengers — many of them forgetful or unwittingly — from carrying loaded guns onto planes in their carry-on luggage fairly regularly throughout the year; a reported 4,000 firearms were seized at checkpoints in 2017. Instances in which armed passengers make it through security are rare. Staffing issues prompted Houston’s George Bush Intercontinental Airport to close one of its TSA screening lines Sunday, according to media reports. Miami International Airport closed one of its concourses for half the day on Saturday and Sunday, and airport officials said they plan to do the same Monday out of concerns that they wouldn’t have enough employees to operate all the security checkpoints.